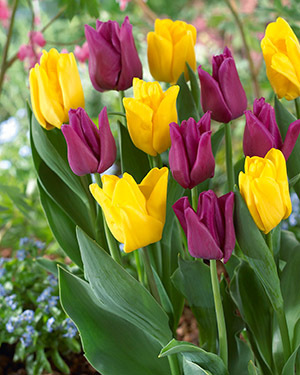 Plant tulips in well-drained soil to ensure proper root formation. Tulips will bloom in both full sun and partial shade. Exposure to full sun will bring out the rich colors that tulips offer, but some shade will enable a longer blooming period and still offer a colorful addition to any garden.